As an AUTHORIZED Diamond Select Dealer, World Music Supply has a larger selection, greater inventory and better pricing on all DBZ Guitars. As a shopper, you will not find a better price DBZ Guitars than what WMS has to offer. Jeff Diamant has been a long time friend of World Music Supply and we are proud to do business with him. 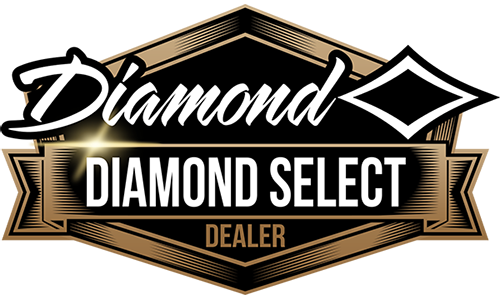 DBZ Guitars changed its name to DBZ Diamond and in 2008 was officially Diamond Guitars. The most popular of the DBZ Guitars is the DBZ Bolero. The Bolero is an Electric Guitar with a very traditional design with new contours. The classic style and modern design makes the DBZ Bolero one of the most popular models. Second to the Belero is the BARCHETTA. The BARCHETTA combines classic style with modern attitudes. It is Beautiful enough to be a classic, but modern enough to be aggressive.